What are the six factors prestigious law firms care about when hiring laterals? One of the factors is if you can be sold with confidence to the clients. Another factor is if the law firm can manage you. Keep reading to find out what the other four factors are. Summary: Do you know what prestigious law firms are looking for in a lateral attorney? Learn about the six essential questions used by firms in the hiring process. There are certain attorneys who go into practically every interview and get a position. Conversely, there are others for which the opposite happens. Can we sell you to our clients? Can you do the job the way we want it done? Will you stay at the job long term? This is a basic question, but an important one. Any attorney whom a law firm hires needs to be someone clients will be willing to pay for, and the most prestigious law firms charge a lot of money. Law firms are in the business of “renting” labor and they need the people who are doing the firm’s work to be marketable to their clients. The more prestigious the law firm and the higher its billing rates, the more important it is going to be that you look good to the firm’s clients. The more top law schools, order of the coifs, federal clerkships, valedictorians, law reviews, and so forth the law firm has within its ranks of lawyers—the better the law firm looks to its clients. The better the experience of the firm’s lawyers—leadership roles, government appointments, law review articles, presentations, trials, and so forth—the better the law firm looks to its clients. The better the law firms looks to its clients, the more money the firm can charge, and the more confidence the market will have in the firm and its attorneys. Most major law firms work for in-house counsel, and these in-house clients are acutely aware of the quality of the attorneys working on their matters. When law firms are “pitching” clients to work on new matters, the firms will often include the biographies of the people who will be staffed on the matters. Because law firms compete with other law firms to get the work from clients, the quality of the staffing makes a big difference in winning new business. The larger and more prestigious the law firm, the better the “paper” qualifications of the attorneys who are working on the firm’s matters. Certain very prestigious law firms will not necessarily always hire people from the best schools, but the people they hire from schools that are not the best will typically be at the very top of their classes. In other cases, they may also have been well-known college athletes, or have other qualifications that make them outstanding. Law firms and their “admission standards” are somewhat equivalent to how colleges admit students. If you speak with someone who went to a very good school like CalTech or MIT, you can be pretty sure that this person has an exceptional aptitude for math and science—the odds that they do not are going to be slim to none. The person who goes to Harvard will be outstanding in many respects and have qualifications that are extraordinary in some respect. You just cannot generally “waltz in” to a school like CalTech or Harvard. Conversely, you are not necessarily going to reach the same conclusions when you speak to someone who attended the University of Nebraska or the California State Chico. It is the same with law firms. The better the law firm, the higher the quality of its attorneys. The higher the quality of the attorneys in a law firm, the more sophisticated the firm’s work will be and the more prestigious the firm’s clients will be. The best law firms are status conscious because they are in the business of renting out their attorneys. They can only do that if their attorneys appear on paper to be high quality products. Moreover, because law firms are renting out their attorneys, they typically also will care about the way their attorneys look, sound, and act. Law firms want attorneys who fit in with their cultures and with the cultures of their clients, and who have good social skills. Some law firms are known for having certain types of clients and, because of this, they tend to hire attorneys who look and behave in a certain way. The fact that an attorney candidate for a prestigious law firm needs to be “sellable” is something that many attorneys never truly understand. This is why law firms care so much about the backgrounds of attorneys they interview and hire. If you are looking for a position and have a certain type of (non-prestigious) background, there will be certain firms that will simply never hire you. Many law firms are complete snobs. Earlier this week, one of our recruiters was talking to a top law firm in New York about a candidate who graduated in the “top 2%” of her law school class at Rutgers. “We would never interview her,” the firm said. However, not all great firms show this type of snobbery. This candidate ended up getting an offer from another firm that is even more prestigious than the one that would not even give her a chance. What can you do in an interview to make law firms see you as sellable? You not only need to be able to “do the job,” but you also need to be able to do the job “the way the firm wants it done.” There are two components to this question. If you are invited in for an interview, the law firm believes that you can do the job—but the firm is not sure. The firm may ask you some questions about your experience, but the firm is not going to test you on it. The law firm believes you can do the job because of what your resume says and where you have worked before. In most instances, the law firm you are coming from will be a competitor of the law firm you are interviewing with. The law firm you are interviewing with will be familiar with the sort of work that you have been doing. The firm will generally be reasonably confident that you can do the job from a technical standpoint—but the firm cannot be sure. The reason the law firm cannot be sure is that the firm does not know exactly why you are looking for a position. Anytime an attorney is looking for a new position, potential new law firms will be suspicious that the attorney may be looking because the attorney, in fact, cannot do the job. An attorney who has excellent paper qualifications but does not have an aptitude for practicing law can jump around between firms for years before he or she becomes unemployable with large law firms. Law firms like attorneys who are relocating to other markets—where they grew up, in particular—because in these cases the firms are less suspicious about why the attorneys are looking for new positions. How have your reviews been? Firms may ask about this, or not. Many times, if your reviews have been good, you will volunteer this information. If you say confidently that your reviews have been excellent, the firm will most likely believe you are doing well. How busy you have been? In virtually every law firm, the attorneys who are the busiest do the best work, and those who are not busy do the worst work. This is because law firms do not give work to attorneys who are not doing good work, or to attorneys who are problematical for one reason or another. If you tell a law firm that you are not busy, the firm will often assume that you are not doing good work and this will concern the firm. Have you been assigned significant work? The interviewer will typically ask you about the sort of work you are doing. In every practice area, certain types of work are more significant than others. Attorneys in litigation, for example, may do trials, take important depositions, and so forth, and this shows that they are being given a lot of responsibility. Law firms will assume you are doing well if you have been assigned significant work. Are you enthusiastic about the work you are doing? An interviewer generally can tell how enthusiastic you are about the work in general. If you lack enthusiasm, the interviewer will presume you do not have the necessary interest in the job to do the job. Are you hiding anything? A law firm that is interviewing you can pick up if you seem nervous or are hiding something. If you are hiding something, the law firm will presume that you are having issues doing the job and will be nervous about hiring you. Attorneys may move between firms because they are having substance abuse issues, family problems, and other difficulties that make it untenable for them to do the job. Law firms will try and pick this up. If you are a partner, does your potential business seem real? It is very common for attorneys to move firms and misrepresent that they have the amount of work they say they do. If you have been fired from a position, or are having trouble doing the work at your existing position, you might as well know that if you give away this information in an interview, the odds of you being hired are extremely low. Why would the law firm hire you? The firm has plenty of applicants for the position and will just move on. The most fundamental requirement is being able to do the job. How can you show law firms that you are capable of doing the job? Doing the job is not just about having the technical capability to do particular tasks. While a law firm needs to be convinced of this, of course, the firm also needs to make sure that you can do the job the way they want the job done. This means that the law firm is going to expect that you will behave and act in the way they want. Each law firm will have different requirements for the way they want the work done. It is very common for attorneys with the technical ability to do the job to still not be able to do the job the way a particular law firm wants it done. An attorney may not be able to work with people the way the law firm needs them to. In one of the law firms where I worked, one of the partners had a team of six attorneys (a counsel attorney, a junior partner, and four associates) who did everything with her. They all worked together, ate dinner together each night, and left the office around 10:00 pm each night together. They also all came into the office each Sunday in “casual clothes” around noon and worked until around 7:00 pm. As far as I knew, they had been working like this for years, and this was their routine. If the law firm were hiring another attorney to work with this woman, the firm would most certainly want to make sure the attorney could be a part of this team. That is the way the job was done. An attorney may not be able to work the hours in the office the law firm wants the attorney to work. Many law firms require lots of face time from their attorneys and are not interested in them working from home, for example. If an attorney has issues with this, the attorney generally will not be able to do work the way the law firm wants it done. Some law firms require an extraordinary level of commitment and all the people they hire are expected to have this commitment. Skadden, Cravath, Wachtel, Quinn, and several other law firms require the attorneys who work there to put in “superhuman” hours, and this is the norm. These are not lifestyle law firms by any stretch of the imagination. Attorneys who work at these firms need to do their jobs in a certain way to succeed. If they do not work this way, they will not do well. See The #1 Attorney Career Killer That Attorneys Are Never Taught for more information. Many law firms may want the work done in a certain way that you may not agree with. Some law firms will overburden their attorneys with lots of work that may seem completely unnecessary. They do this for various reasons—to increase the bills is one of them—and attorneys may not agree with it. You are still required to do the work, though, because this is the way the law firm wants the work to be done. Many law firms are extremely risk averse and hire people who want to play by these rules, or the opposite. Many established law firms with huge clients are very risk averse and do not want to hire attorneys who will take risks. They hire cautious, bookish types with pleasant personalities who are not aggressive. They will not want someone to do the work in a way that exposes them to risk. In contrast, other law firms—often ones that are trying to make names for themselves (or are perennially doing so)—will behave in a different manner entirely. These firms will hire a different sort of attorney, the sort of attorney who is naturally inclined to take risks. That is how they want the work done. Many attorneys may come from firms and environments where they learned bad habits and can no longer do the work the way the firm wants it done. Most major law firms do not hire people out of the government, from in-house positions, solo practitioners, small law firms, and so forth: These attorneys never learned how to do the work the way the firm wants it done. They pick up habits and ways of working that are simply not conducive to working in a law firm. It almost never works out, and for that reason, it is difficult for attorneys from non-law firm environments to even get in the door to begin with. To illustrate the last point, I have had in-house attorneys working for my company for years. Years ago, I hired a very highly qualified attorney who had gone to a top law school and was one of the top 2 or 3 students in his graduating class. He had never worked in a law firm, though. 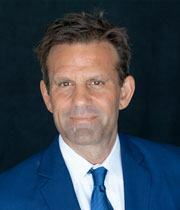 Instead of working in a law firm, he had started his private practice out of law school in a middle-class area of Los Angeles and had done litigation and other work on a “per matter” basis. He would charge someone $500 for this type of matter and $1,500 for that type of a matter, and so forth. He practiced law this way because his small clients were unwilling to pay hourly rates for his work. Due to the way he learned to practice law, his objective became to cut corners and get everything done as quickly as possible. While he was good at what he did, he never learned to work on matters with the level of thoroughness and completeness that would have been demanded of him had he worked in a large law firm. After months of working with him, I learned that he would never have the ability to do the work in the way I wanted it done because he had learned to practice law in a way that relied on shortcuts and cutting corners. Most of the issues regarding “how the work is done” revolve around whether you are willing to follow directions, play by the rules of a given law firm, and suppress your ego for the benefit of the team. Any time an attorney starts talking about the attorney’s needs, requirements, and limits, the law firm interviewing the attorney immediately makes a calculation of whether or not this benefits them—and it typically does not. Law firms will not hire people who are unwilling to work in the way they want them to. Law firms do things a certain way and they want the work done that way. Law firms expect most of their partners and associates to march to their tunes and play by their rules. If a partner or associate interviewing with a law firm seems too focused on his or her needs and requirements, this is a sign that the attorney will not do the work the way the firm wants it done. If the attorney is coming from a different environment, the attorney needs to convince the interviewer that he or she can do the work in the way the firm wants it done. Not too long ago, I was working with an attorney who had some of the best qualifications imaginable. She had a Ph.D. in electrical engineering from a great school; she graduated at the top of her class from an Ivy League law school; and she was practicing with what might be considered one of the top two or three best law firms in the country. She was six years out of law school and wanted to join a competitor firm and work “reduced hours” at a reduced salary of only 1,800 hours a year. She was not doing this because she had children or anything. She just wanted her weekends free, time to go to the gym, and as she said: “watch Netflix at night.” She had no desire to be a partner and this is what she told a particular law firm with which she was interviewing. The law firm had a series of internal discussions and decided that the risk of hiring her outweighed the potential rewards. The law firm very much wanted to hire her but they simply could not. “We cannot hire someone who does not want to be a partner,” they told me. “It is not worth it because we want everyone at her level to be competing to be a partner and working hard. She will do more harm than good.” What the law firm was saying, of course, was that she would not do the work the way they wanted it done. When a law firm is speaking with you, the firm is going to be probing and trying to understand if you can do the work the way they want it done. Also, the law firm is going to have certain standards for the way the work is done. Many law firms may overwork files and be extremely thorough. Other law firms may do the opposite. The law firm will need to see if you are up to doing the work the way the firm wants it done. Your willingness to be malleable, follow directions, and play by the rules of the firm is extremely important to whether you will do the work the way the firm wants it done. How can you show law firms that you will follow their rules and do things the way they want? Most attorneys only get one offer when they are looking for jobs. They may get lots of interviews, but only one offer. The offer these attorneys typically get is the one they want the most. Is this a coincidence? Of course it is not. The reason that attorneys get offers from the firms they want the most is that they want the job. When I start working with attorneys, I always have them fill out an in-depth questionnaire that discusses their experiences and long-term aspirations. Many attorneys have goals such as to go in-house, to work for the government, to start a business, and so forth. When attorneys write down that they have these sorts of goals that do not involve working in the law firms I serve (personally, I only place attorneys in law firms), I know that the attorney is likely to have issues getting the job. In fact, this is incredibly common. In most instances, when I work with an attorney who does not want to work in a law firm or in the law firm with which he or she is interviewing, the attorney almost never gets this job. If you do not want the job, then it will show. For example, when he was younger, my father worked overseas as an agent with the Central Intelligence Agency. One time, he was complaining to his boss about how he did not like someone he was supposed to be befriending as part of his “spy” work. He said he always remembered something that his boss said to him: “Don’t think it or you will show it.” There is a lot of truth to this statement, because if you think something then your mannerisms, the way you answer questions, and other verbal and nonverbal signs will give you away. You need to believe that you want the job. I’m working with one attorney right now who went to a “top 3” law school, finished at the top of his class, is a former college athlete, is in a hot practice area, and at a top New York law firm and has been there for three years. His long-term goal is to be a law professor, or go in-house. I have gotten him about 15 interviews in the past two months, and almost all of those have been “screening” interviews. He does not even get a full round of interviews. He does not want any of the jobs he is interviewing for because he wants to do something else. He does not say this in interviews, of course, but all the law firms can easily pick up that he does not want the job. I’ve worked with numerous women who have taken time off to raise their children and ostensibly want to return to the work force, but in reality, do not want the job. These women often much prefer being at home. 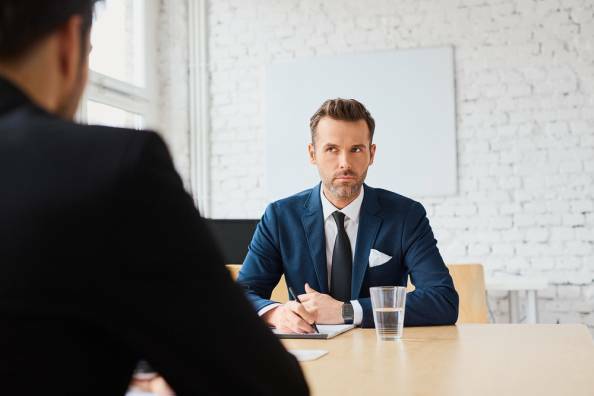 When they start going out and interviewing with law firms, they often interview with numerous law firms, but do not sufficiently convince the interviewers that they want the job. In most instances, these women make the decision to stay at home after not getting several jobs and tell me this is what they wanted to begin with. It is VERY COMMON for attorneys who have worked in extremely demanding law firm environments (New York City, in particular) not to want to work in any law firm again because the work is so demanding; they go out on interviews and fail to impress. They go out on interviews and do not get the job because they are not interested in working in a law firm environment again—despite what they may be implying. If an attorney does not like the firm with which he or she is interviewing, or does not think it is prestigious enough, the attorney generally will not get the job. The attorney will not get the job because the attorney does not want the job. Law firms want to hire people who want the job. Wanting the job means that you are enthusiastic and show willingness to work. The law firm should be under the impression that if it offers you a position, you will take it. Think about this from the employer’s perspective. If you were an employer, would you rather hire someone who wanted the job or someone who was on the fence about the job? It is bad for business to hire someone who is not enthusiastic about the job. If someone does not want the job, the odds are good the person will leave. People want to be around people who want the job. With very limited exceptions, the majority of people I have placed in my career have been people who wanted the job. You need to want the job to get hired, and you need to convince yourself and the firm that you want the job. If you do not want the job, the law firm will be able to tell easily. What have you done in past interviews to show law firms that you wanted the job? Law firms are social groups. The people in a law firm often do not just work together—they socialize outside of work and during work. The attorneys will gossip together, travel together, and spend a lot of time together. Being able to fit into a law firm is very important. The law firm wants to hire people who will get along with others there. Over the past several years, there has been a huge push for diversity inside of law firms. This means that many law firms will consciously hire people from different ethnic groups and sexual orientations to build “diversity” into their ranks. Firms do an excellent job of building diversity when they hire entry-level attorneys, but in my opinion, there is much less effort at the lateral level to do this. At the lateral level, law firms tend to be more interested in hiring attorneys who fit in with the culture. While I hate to be the one to say this (and I say this as an observer), the majority of law firms have their cultures, and in general, these cultures favor a certain type of person. Regardless of the type of person who is favored, you will be much better off and fit in better if you are part of this “favored” category than not. At one law firm where I worked, I was very surprised when I discovered after a few months that just about every single partner in the law firm was Catholic—and seemed to be practicing this. They went to church, sent their children to Catholic schools, and so forth. I do not believe this was a coincidence at all. These partners also tended to hire associates and others to work with them who were Catholic. I was speaking with the hiring partner of a law firm several years ago. He told me that the law firm is “comprised of a bunch of Jewish guys like me” and that the firm tended to hire “people like us.” This is just the way things tend to work inside of law firms. People hire people who are compatible with their culture. In general, when law firms get sued by former attorneys and when they have serious problems with their attorneys, the people who are aggrieved (with many exceptions, of course) are often people who did not fit in and felt like outsiders. Anytime an attorney does not fit in, the law firm will not necessarily trust that attorney and this will create problems. You need to fit in. You need to fit in because a law firm is your “tribe” and as your tribe, you will need to take sides on issues and be united. The best law firms typically have the best cultures and attract, hire, and retain a certain type of individual. The people the law firm can keep around will hire people like themselves. See Why You Should Find Your “Tribe” and Not Just Focus on Money in Making Law Firm Decisions for more information. When an attorney is interviewing you, the attorney is interviewing you to work in the law firm, of course, but also evaluating whether you might be the sort of person with whom he or she would like to be friends or hang out. Your interviewer does not want you to be threatening. Your interviewer wants to feel like you will be on the same team as him or her. What are some ways you can show a firm that you are on the same team as them? See The One Simple Rule for Succeeding in a Law Firm for more information. If you are going to work for someone else, you need to be manageable. If you are working inside of a law firm, you are working for someone else. If you are working for someone else, you need to be able to be managed. People who are manageable follow orders, respect authority, and get along well with the chain of command. The unmanageable attorney is very common, and law firms rightly avoid them. Attorneys give all sorts of clues to interviewers that they are not manageable and law firms do not hire these attorneys. Law firms only function when the attorneys inside of them are all manageable. Managing everyone inside a law firm is no easy task. In order to survive, firms need everyone to show up, work diligently, and not make waves. The unmanageable attorney weakens the herd and law firms do their best to avoid them and not hire them. Attorneys who are not manageable are quite common, and they are expelled from law firms like viruses. The unmanageable attorney will be one who questions assignments, breaks the rules, and does not follow directions. When a law firm is interviewing you, the firm will get a sense if you are manageable or not. The firm will suspect that you are not manageable if you seem to have boundaries or are defensive about certain questions. They will talk about their need for rapid advancement. To the astonishment of interviewers, many “cocky” young attorneys will show up at interviews and talk about how they need to be advanced quickly in their next positions. While law firms can certainly channel this ambition into lots of hours, in general, this sort of personality is one that will end up leaving the second things look like they are not going as well as the attorney would like. This sort of attorney will not be manageable and is most often not hired. They will say they need to do only a certain type of work and this is why they are looking. Attorneys often show up in interviews and complain that they are not being given the exact sort of work that they want. This typically does not go over well with the interviewing firms, because they know that if they do not give the attorney the sort of work they want the attorney will leave them as well. Law firms do not always have the sort of work that the attorney wants to do. This can be a real career killer, and I have seen attorneys bounce around in search of the exact type of work they want until no one hires them anymore. They will talk about issues they may have had with past supervisors and how something was done or something happened that was unfair to them. Attorneys are supposed to get along with the people they work for. Period. If an attorney had issues with a past supervisor or someone they work with, the presumption is always going to be that it was the attorney’s fault for not being able to be managed. As someone else’s employee, you are expected to get along well with the people you are working for. They will be defensive with the interviewer or may appear angry. If someone is interviewing you and you start getting defensive or appear angry about any of the questions—or angry at the interviewer—this is a pretty clear sign that you will be difficult to manage. A law firm has no need for this, and will not hire you because the presumption is that the issues with you will only get worse. They will have a history of doing things that show they are likely not going to accept the status quo (being part of protest organizations, filing lawsuits, and so forth). Anything on your resume that shows you could be trouble in any way will immediately disqualify you from working in most law firms. If you ever sued a former employer (law firms will find this), then the presumption is that whatever happened was your fault. Prestigious law firms want people who will not make trouble and who will follow orders respectfully. They may have a need for constant reassurance and praise. Many (young) attorneys need constant reassurance and praise. While this may seem like it could be a good thing (i.e., the attorney works for praise and is dependent on it), this often creates problems because the attorney may be upset when the attorney is not getting enough positive feedback and starts looking for a new position. This is quite common. They will typically have had businesses in the past—most attorneys who have had businesses end up not being manageable. While it may sound unfair, most attorneys who have had businesses in the past end up being difficult to manage. Someone used to giving orders is not the sort of person who does well following orders. Attorneys who have owned businesses before becoming attorneys typically do not do all that well inside of law firms because they are difficult to manage. They have had important, highly paid supervisory-type roles in previous jobs before becoming attorneys. This is the same sort of thing. Anyone who has had a supervisory job (and made a lot of money) will typically resent being managed and be difficult for the law firm to manage. Attorneys from these sorts of backgrounds rarely do well and are hired less often. They may be overly impressed with their educational qualifications and have an inflated sense of self-worth from this. This is a huge issue with attorneys who have gone to Yale Law School and to a lesser extent Harvard Law School, in particular. Attorneys with stellar educational qualifications may expect special treatment and resent being managed. This will often prevent them from getting hired and result in them having many issues in law firm jobs. They may have gone to law school later in life. If an attorney attends law school later in life, the attorney will often resent being managed by people the attorney’s age, or younger, or working alongside people who are much younger. These attorneys typically have a difficult time and resent being managed. They may be from a very wealthy background and have their money. While not always the case, attorneys from very wealthy backgrounds often resent being managed as well. They can be difficult to manage. They may have moved around a lot in their past jobs. Attorneys who have moved around a lot may have done so because they are difficult to manage and ran into a lot of issues due to this. If an attorney is easy to manage, the attorney will stay in one place as long as the attorney can and endure the ups and downs that come with working with people he or she may not always like. It is odd that attorneys have difficulty being managed, but this tends to be one of the greatest problems both associates and partners have in holding onto and getting positions. If you are going to work for someone else, they need to believe you can be managed. Are you manageable? How have you shown this to a law firm during an interview? See Interviewing Tips: The Five Musts of Interviewing for more information. Will You Do the Job Long Term? The best hires are typically the people who have a history of staying at positions for a long period and not leaving. If you have been at your last job for four or five years, this shows that you go somewhere, fit in, do good work, and stay. In fact, in my opinion, this is the most valuable indicator of whether an attorney will be a good hire or not. Every single time I have personally hired (or placed) someone who was at his or her position for a decade or more, that person ended up staying with me (or where I placed that person). There are certain people who just make things work out wherever they go. If you stay somewhere for the long term, then this says all sorts of things about your (1) social skills, (2) ability to fit in, (3) drive, (4) psychological stability, (5) work quality, (6) commitment, and (7) ability to be managed (and more). Law firms want to hire people who will do the job long term. If you are moving around a lot, it is an indicator that there is something wrong and you are going to be constantly at risk of leaving wherever you go. Law firms only function effectively when associates, partners, and others see themselves at the law firm for the long term and want to be there and succeed there. The entire hiring process is geared towards making sure the best people are brought in who want to be there. If you appear flaky and non-committal, the law firm will pick this up and will likely not hire you. Attorneys who are committed and going to last put on their game faces and convey a deep desire to want the jobs for which they are interviewing. They have researched the firms a great deal and know all about them. They are enthusiastic. Getting a job there is very important to these attorneys, and because it is so important, these attorneys appear confident, committed, and ready to work. If you interview with a law firm and talk about having goals and objectives that have nothing to do with working in the law firm, then the law firm will believe you will not do the job long term. This is a really stupid mistake that a lot of people make. Your goals and objectives need to be related to working in the law firm—if you have other goals then the law firm will find someone who is more interested. If you do not have good reasons for looking for a position, the law firm will believe that you will likely not do the job for the long term. People look for positions for stupid reasons and good reasons. Your reasons for looking for a position should be good ones that show you are serious. If the law firm does not believe that you are looking for the right reasons, the law firm will not be interested in you. If you do not appear to have an interest in what you are doing, the law firm will believe that you will not do the job long term. Attorneys who stay in the practice of law typically are very interested in what they are doing. You should come across as interested in the practice of law, your practice group, and so forth. If the law firm believes that you had problems in your last position, the law firm will believe that you will not do the job long term. If you have had problems in your last position, this will communicate to the law firm that you are likely to have problems in your next position as well and not stay. If you have an interest in switching practice areas, the law firm will believe you will not do the job long term. This communicates that you are having problems liking what you are doing. The odds are good that you will have the same sorts of issues in your next firm as well. If you are coming from in-house, or a non-law firm environment, the law firm will believe you will not do the job long term. Once someone has left the law firm environment for another venue, the odds are very good that this person will do the same thing again. Law firms are not interested in attorneys who do this, because they know they will not commit there either. If you are interviewing with a firm that is much less prestigious than you are capable of getting a position in, or pays less, the law firm will believe that you will not do the job long term. The law firm knows that you will likely leave and take a position with a more prestigious or higher paying firm when you have the opportunity. Attorneys often interview with less prestigious firms than they are capable of getting jobs at during recessions, after getting fired, and at other times when they are at a disadvantage. Smart law firms generally will not hire them because they know the attorney will not commit and will start looking for a new position as soon as the market gets better. If you are interested in a reduced hour position (or currently working in a reduced hour position), the law firm will believe that you will not do the job long term. If you are not fully engaged or committed to your position, the law firm will believe that the odds are good that you will not commit to them either and may leave. It is very difficult for women who are working reduced hours in one law firm to transfer to other firms to also do this. The lack of a full commitment suggests you might just leave. If you seem overly concerned with money, the law firm will believe you will not do the job long term. If an attorney is primarily interested in money, there is always going to be a firm that pays more money that will lure the attorney away. Law firms tend to avoid attorneys that are overly interested in money. If you do not look, act, and dress the part, the law firm will believe you will not do the job long term. Your appearance, enthusiasm, and general demeanor will say a lot about how much you want the job. If you do not appear to be that enthusiastic, the law firm will conclude that you are unlikely to stay if offered a job. If you have no connections with the area where you are interviewing, the law firm will believe you will not do the job long term. It is common for an attorney who needs a new job to look in locations where he or she has no connections. In most instances, the attorney will not stay there very long and will end up leaving. This is common when law firms in certain cities that are not considered “cosmopolitan” interview attorneys with no connection to the area, such as Fresno, California; San Antonio, Texas; Boulder, Colorado; Grand Rapids, Michigan; and so forth. Anytime a law firm in these areas hires someone who is not from these areas, the firm knows that the odds of the hire staying there are very slim. In most instances, the firm is correct. Any law firm that is hiring you will need to invest in training you on its way of operating, introduce you to clients, and try and make you part of the team. The firm does not want to take this risk if the firm does not believe you will stay for the long term. Law firms want to hire, invest in, and nurture people who will stay for the long term. Law firms are very good at the interview stage in sorting all of this out. They like to hear that you have obligations (a family and mortgage, for example) because it shows that you need to work. Law firms want you tied to them and to need them because it means you will stay, work harder, and do what it takes to make it work. What have you done to show law firms that you are going to be there for them long-term? It is not at all easy to get a position in a major firm. The six issues above, though, are what the law firm is essentially evaluating you for at each stage of its process with you. It is not at all easy to get a position with a major firm and jump through these hoops. Typically, attorneys I work with get far more offers than they would otherwise because I work through each of these issues with them. If you are not getting interviews, or not getting offers after interviews, the answer to why this is occurring is in one or more of these six issues. Which of the six factors in this article are you weakest in? How can you improve this area? Which of the six factors in this article are you strongest in? Which of these six factors is most important to law firms in your opinion? Why? Share your responses to the above questions in the comments below.